AutoExpo2012: Honda launches CBR 150R | IAMABIKER - Everything Motorcycle! 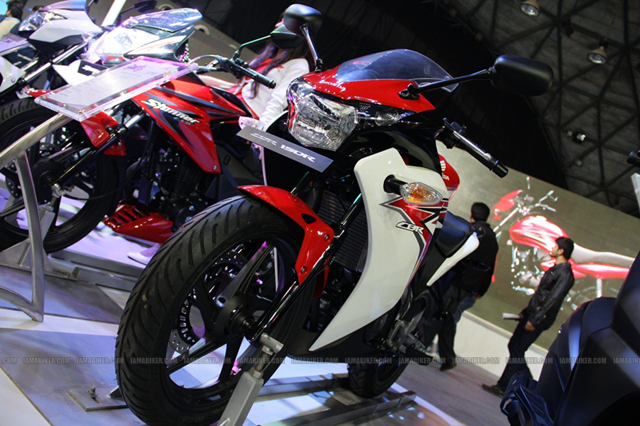 The CBR 150R from Honda in all probability was one of the most prominent launch at the Auto Expo 2012. With the success of the CBR 250R quite evident from the massive numbers that has been sold, the CBR 150R would take up the void of a sporty 150 from Honda and would take the Yamaha R15 head on. With a expected price of less that 1.2 lakh it definitely is going to a massive hit. The specs look very promising too. We leave you with the photographs and a look a the specifications of the CBR 150R. We will keep you informed on the final on-road prices and of-course a complete review along with our special wallpaper pack as soon as the CBR 150R is out.